At first glance, the new SunTrust balance transfer offer that comes with three years of prime rate APR and no balance transfer fee looks pretty swell. After all, the prime rate is currently 3.50%. It was actually 3.25% as recently as December, but finally got increased by 25 basis points (0.25%) after about seven years of absolutely no movement. The reason prime didn’t move during that time was due to the Fed’s accommodative monetary policy, which finally came to an end when they raised rates. Or at least that’s the general consensus. This offer also comes with no fees on balance transfers when you execute the transfer within 60 days of account opening. And no annual fee or foreign transaction fees for that matter, not that you would use the card for purchases, at least not until your balance is paid in full. Anyway, this appears to be a great offer because you get an ultra-low interest rate for a full 36 months without the fees. What’s not to like, right? 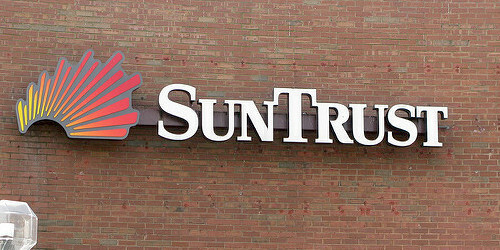 Well, there’s one little hitch to this otherwise great offer from SunTrust. Because the SunTrust Prime Rewards Credit Card is tied to prime, it can and will vary whenever that market rate changes. So if the Fed continues to raise rates, the prime rate will also increase. In other words, you might not actually get that low 3.50% for the full three years, or even for the next three months. At any given time, the Fed can decide to raise rates, and with that the interest rate on your SunTrust credit card may increase, meaning you’ll pay more interest. Now this isn’t to say it will shoot up overnight. The Fed is pretty reasonable when it comes to raising rates, and most market analysts don’t expect them to raise rates more than three more times this year (0.25% each time they do). In that kind of worst-case scenario, the rate on this balance transfer offer would simply rise to 4.25% at year end, which is still relatively low. However, it’s worth mentioning that it’s not simply a 3.50% rate that is fixed for 36 months. It’s completely variable and can change at any time. This is important. Now the potential good news related to this card. The prime rate doesn’t just go up. It can also move lower, so if the economy isn’t where the Fed wants it to be, there’s a chance your 3.50% rate could drift back to 3.25% or even lower. While the chances of that are probably pretty slim, it’s still within the realm of possibilities. It can also stay put at 3.50%. That being said, this balance transfer offer has some question marks involved. You don’t really know what you’re getting because no one knows what will happen with prime. Sure, it’s a low rate and it’ll likely stay low over the next three years. But it may not be 3.50% that entire time. So there might be a better option out there, such as a 0% balance transfer. The upside is that you can always use another balance transfer to pay off the debt on this card if rates get out of hand. By the way, this card also comes with a free FICO score updated monthly. So a little icing on the cake if you’re interested in this deal. Learn more here.